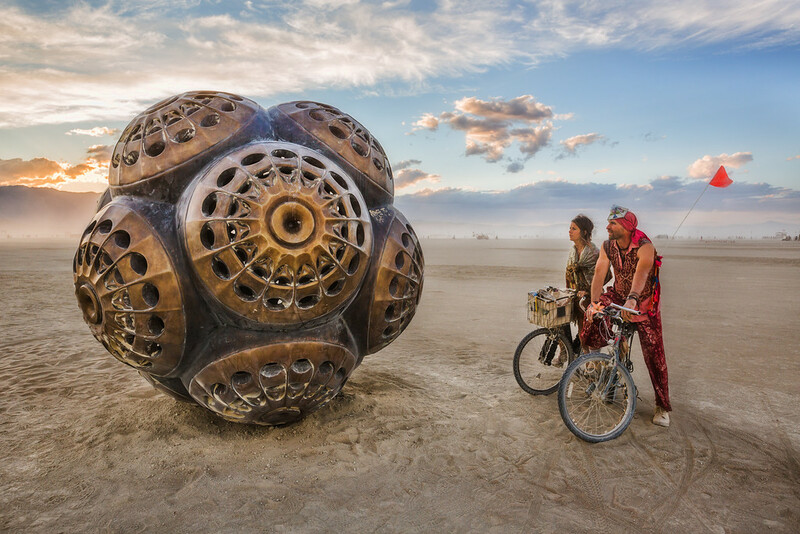 I wish to pay my respects to the founder of Burning Man, Larry Harvey, who recently pass away at the age of 70. I’ve been fortunate to attend the event 4 times, and I’m extremely grateful for the experience that provided me space to explore many aspects of life and individuality. 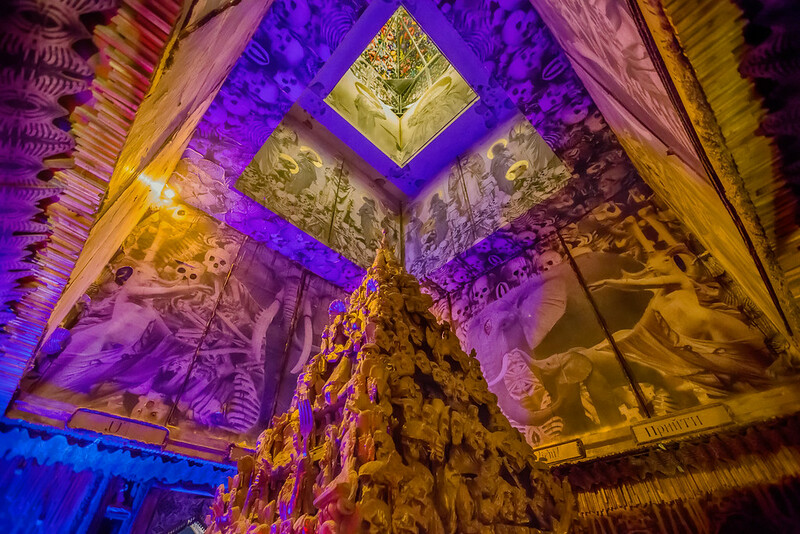 The culture surrounding the event contributed in substantial ways to my own personal as well as artistic growth. I am not alone in this, and in fact I’m probably quite average; the event has profoundly and positively affected thousands of people. 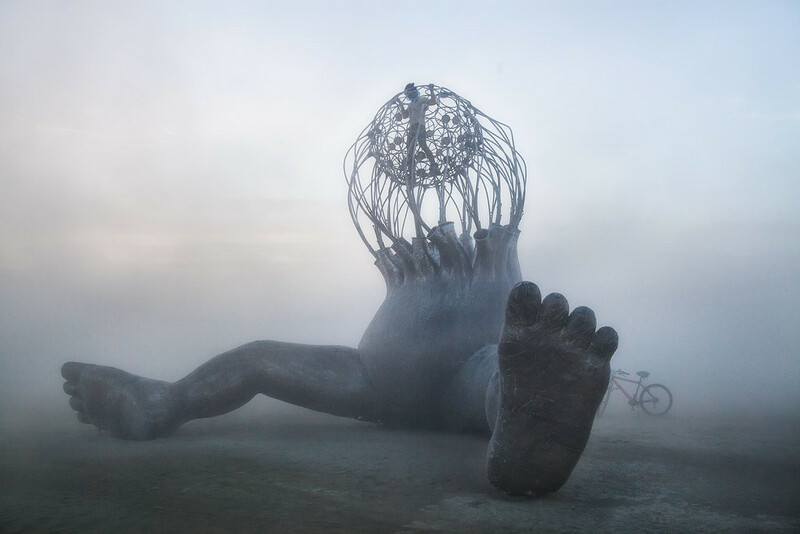 In a sense Burning Man has been a long running social experiment. 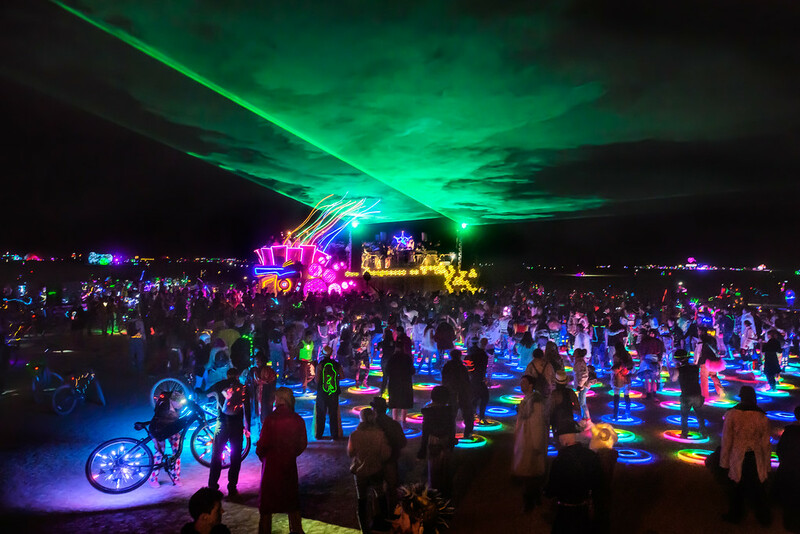 The event spawned from a chaotic and antiestablishment sentiment, and over 32 years, evolved into a culture where people are encouraged to explore the wide spectrum of human desires while maintaining a sense of community and creating some deep powerful connections to each other and to spirit. 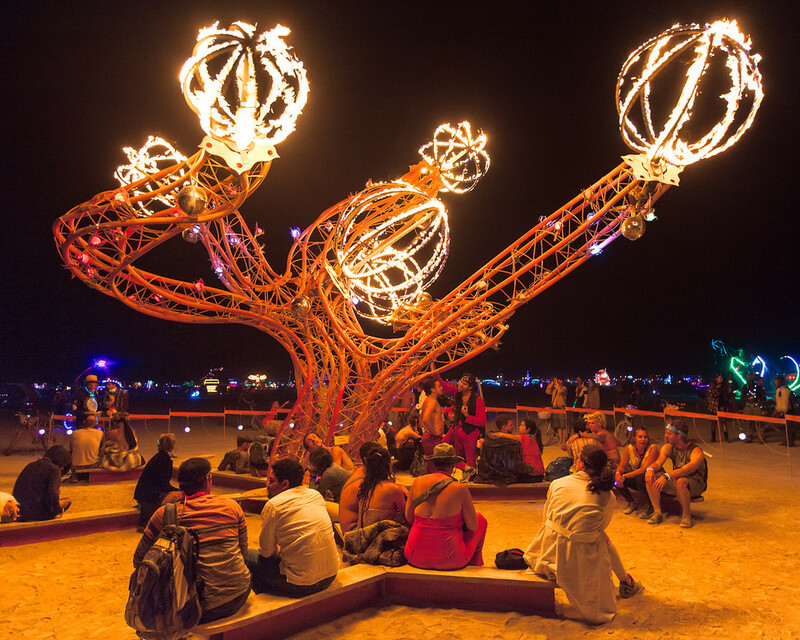 At the core of the experiment are the Ten Principles, and Burners are highly encouraged to follow these during the week long festival. 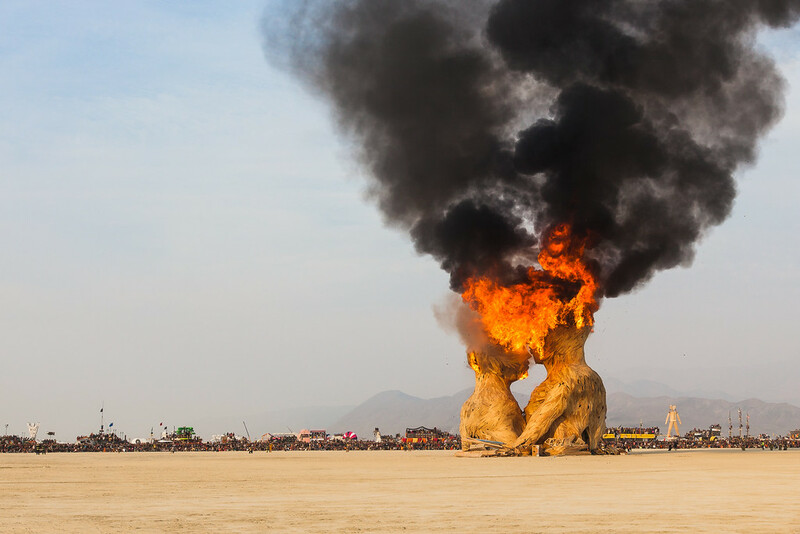 I won’t go into detail about what they each mean, (read the full descriptions on Burning Man’s website) but I can assure you that most of these address human issues that have become subconscious behavior for most people. In other words, growing up, people learn how to think and act in certain ways, and the Ten Principles force people to challenge those long held beliefs. Burners get to practice what it would be like if they chose differently. The result for many is the realization that life can be different–and more in line with their core beliefs–if they start thinking and behaving differently. 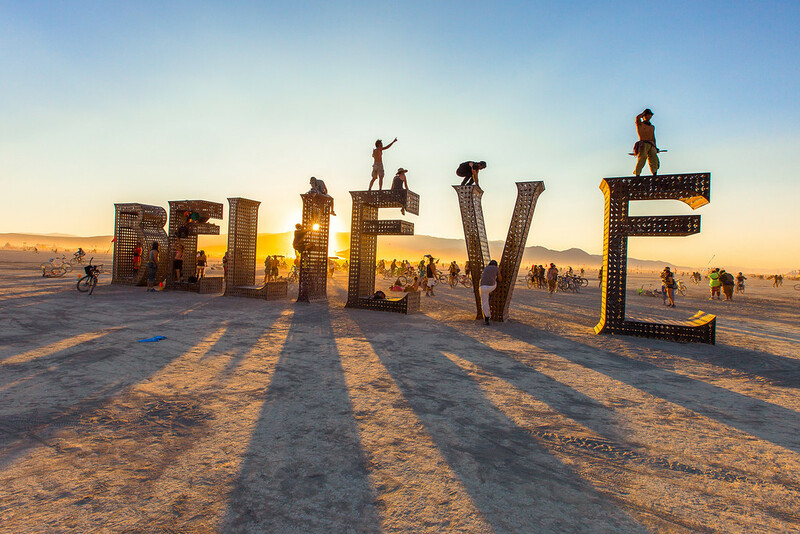 I believe, the greatest impact the event has on people, is discovering something about oneself that all of a sudden becomes the most important realization for them going forward. 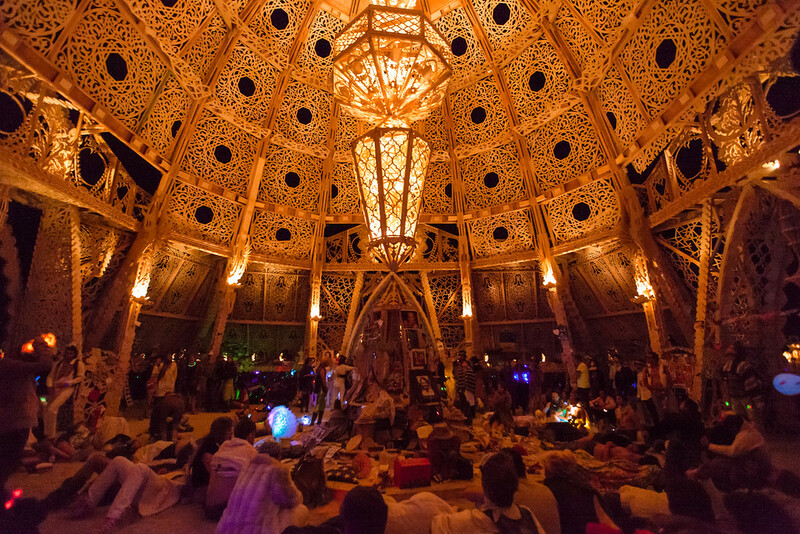 It is a fertile place where new ideas can be cultivated and grown into lush, potent expressions and actions. 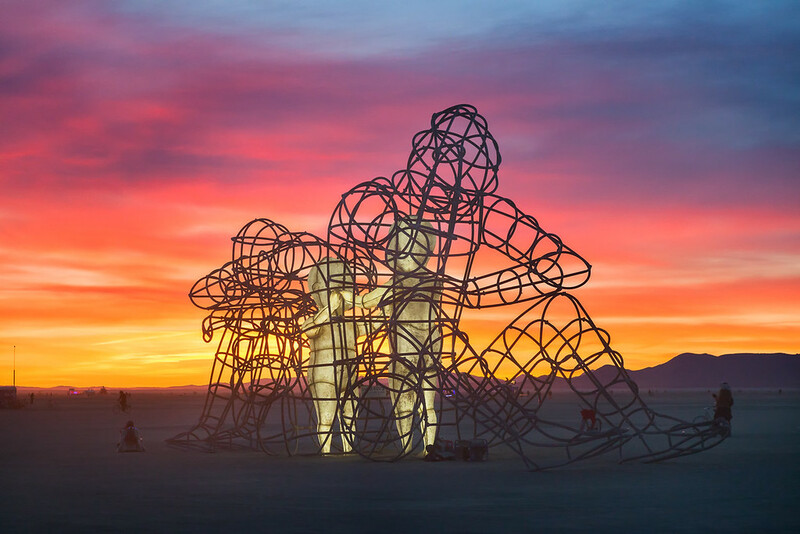 From the over-the-top, intricate, and impressive displays of large, interactive art, to the more subtle acts of treating people, (friend or stranger) with respect, dignity, and genuine curiosity. Even that is oversimplifying the experience. 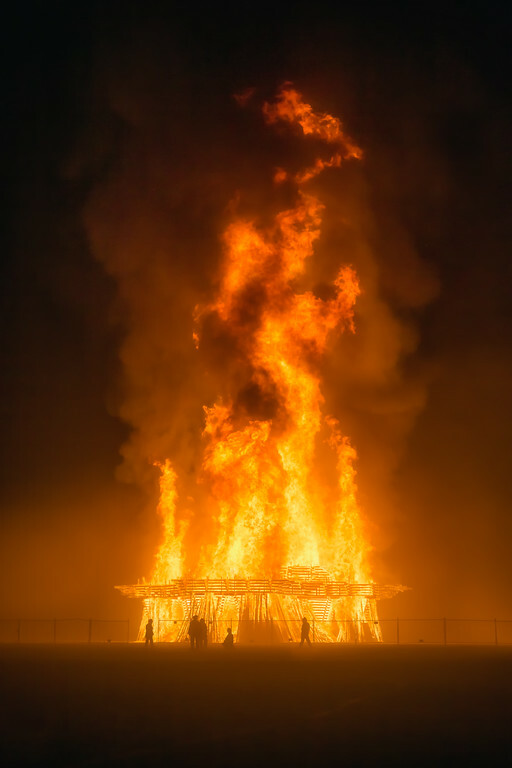 In a world with rampant social anxiety, low self esteem, uncontrolled violence, discrimination, and corporate/government manipulation, Burning Man has been a powerful movement in opposition to those degrading phenomena. I believe the opportunity for self-expression, self-reflection, and the community support that fosters self-discovery, is one of Larry Harvey’s greatest gifts to the world. The event and the organization that was created in order to run such a large project is not perfect. In some ways it succumbs to some of the ideals the Ten Principles are trying to contest, but I see that as part of the social experiment – can this event exists indefinitely without being corrupted by they same forces that corrupts the rest of society? I believe Larry Harvey made sure that whatever it was that made this social movement unique, persisted. I can only hope that the continuing leadership navigates the event well through the next phase of its evolution. 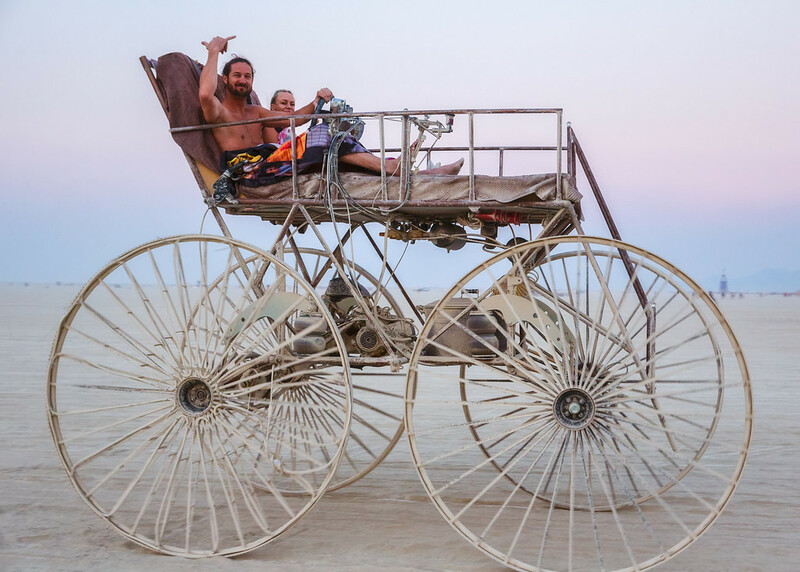 So for now we will continue to explore all the possibilities around the world and especially on that magical playa in the Black Rock Desert that we hold so dear. I send my gratitude, Larry–Thank you. Photos were taken during years 2013, ’14, ’15, & ’17.